Red Hot Chili Peppers bassist Flea was sidelined after breaking his arm in February, and now we know how he's been spending some of his time: by taking up beekeeping. The funky string-slapper apparently has been helping out his fellow insects by making a home for around 200,000 bees in his California backyard. TMZ notes that Flea installed three hives outside of his house last month, each with more than 60,000 bees. 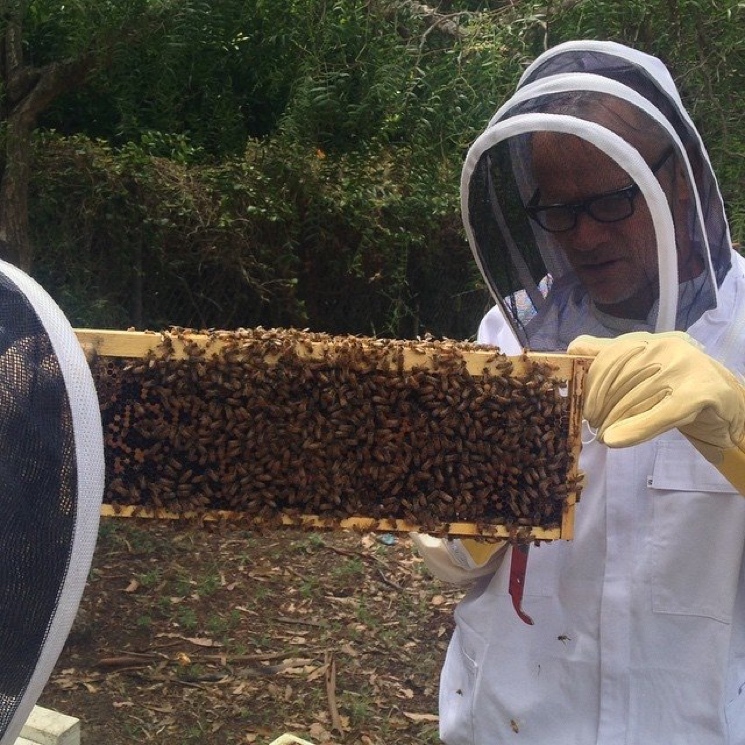 The four-stringer posted the above photo of him with one of the hives last month. There are apparently two reasons behind the new hobby: he likes the bees, and he's concerned about the dwindling bee population. Colony collapse disorder has caused a decline in bee populations in recent decades, which is a threat to the many crops that rely on a healthy honeybee pollination. In other news, Flea tweeted on August 3 that his arm had finally healed enough for him to start playing bass again. Red Hot Chili Peppers apparently resumed work on their new album last week. Reports have suggested that the LP would be produced by Danger Mouse, marking a split from longtime studio collaborator Rick Rubin.